Photogrammetry can be really useful for various applications. It is a way to create the digital image version of an existing object, person or landscape. You can obviously try to use a 3D modeling software and design it by yourself. It would be a waste of time, and if you are not an advanced designer, you might not get the perfect 3D representation of what you want. Here, the easiest solution is certainly to use a 3D scanner or a photogrammetry software. The question now is: how is 3D scanning working? How can I 3D scan an object? We already saw on our blog how to 3D scan with a tablet or with a smartphone. Let’s see more in details what is photogrammetry and what are the photogrammetry software tools that you could use. Photogrammetry is a science of making a measurement from photographs. This method is using the parallax obtained between several pictures, taken from different points of view. Photogrammetry can be used to record complex 2D and 3D motion fields. It is imitating the stereoscopy of the binocular human vision, and it is actually used to get all the information of existing physical objects. Indeed, this process collects the data regarding the shape, the volume, and the depth of the subject that you are trying to scan. This is the method used to turn several pictures into an accurate 3D design. 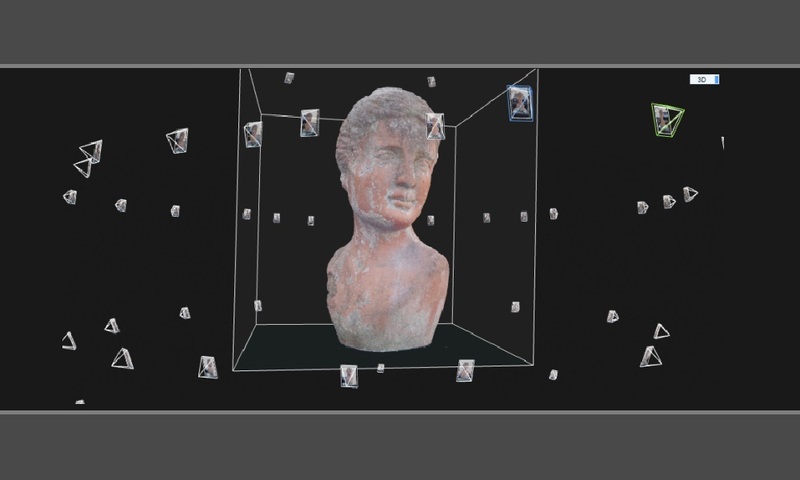 Photogrammetry works by extracting the geometric information of a two dimensional image. By combining a lot of pictures, you will be able to create a three dimensional image. Photogrammetry is the process used to create the 3D scan of an object, using multiple images. Indeed, it is possible to make the 3D model of an object with several pictures of this object, ingeniously taken from different points of view, in order to get a complete representation of the object. For this, you don’t necessarily need to use a 3D scanner, a simple smartphone, a tablet or a good camera can be used, with good image stabilization! Thanks to photogrammetry, and a serie of complex algorithms, you will get a digital 3D model using multiple photos of the original real world object thanks to a powerful reconstruction process. The more pictures you have, the more precise your 3D design will be. It is also possible to turn one picture into a 3D model, but obviously, you will not get an optimized result with only one picture. Why should you use a photogrammetry software? 3D scanning could be useful for various applications. It can be used to get a viable 3D model and make the most of the 3D printing technology using an online 3D printing service such as Sculpteo. But having a great 3D design is also an amazing tool for visualization. Photogrammetry is useful for topographic mapping, architecture, engineering, or even geology! There are a lot of software tools dedicated to aerial photos, photogrammetry is really useful for geographical use. For instance, archeologists are also using it to create plans of complex and remote sites. While choosing a photogrammetry software, you will have a huge choice. You will have to choose your software regarding your expectations: Do you need to upload several images? Do you want to focus on aerial images? Are you experienced? Do you want to try photogrammetry for the first time with a free software? Let’s discover what is the best solution for you! If you prefer to use a smartphone application, check out our blog post on how to 3D scan with a smartphone to see what are the different possibilities and the best programs to create a viable 3D scan. Agisoft Photoscan is a stand-alone software. This software offers many interesting features like photogrammetric triangulation, point cloud data, measurements for distances, volumes and areas, 3D model generation and textures, for example. Agisoft Photoscan appears to be a complete software, useful for various applications. You will have the choice between the professional version and the standard version. The standard edition is still quite complete, you will get all the basic software tools that you need! 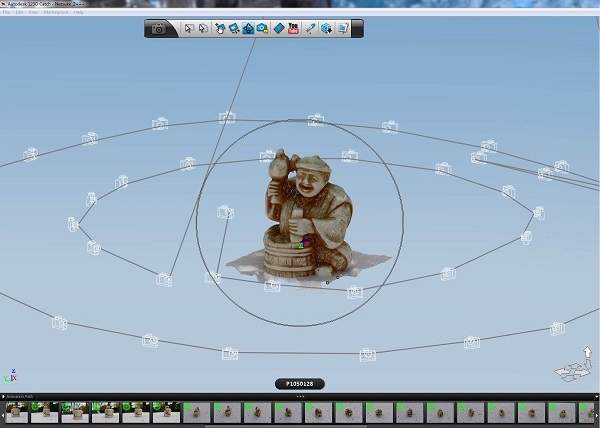 It is one of the most used photogrammetry software tools. Here is the free version of the software 3DF Zephyr, a very complete and efficient software for photogrammetry. This software now has a free version! It could be the best solution if you are just beginning with this 3D process and need to learn with a great software. 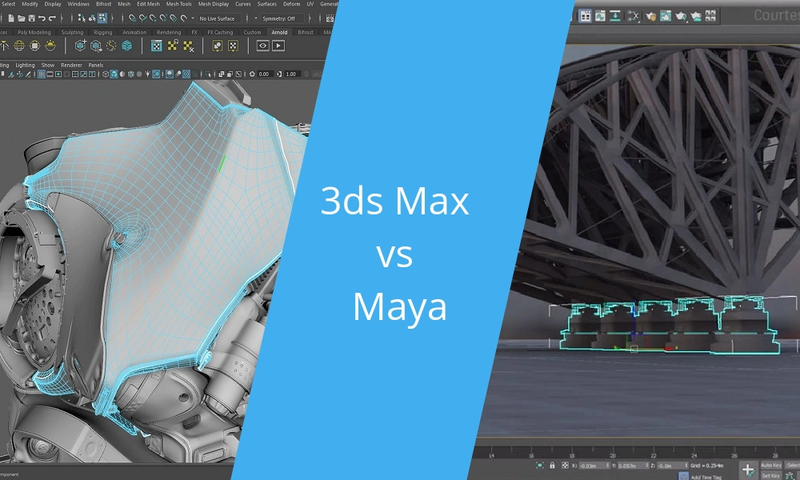 This free version of 3DF Zephyr is offering all the 3D reconstruction tools and basic editing tools that you will need as a beginner. 123D Catch is a software helping to turn a picture into a 3D model. If you are a beginner and need a little help with this 123D Catch software, check out our tutorial to learn how to use it. This is an application, so it is only available on smartphone. It can give you a great overview of what it is actually possible to do with a smartphone. It really depends on the nature of your project, you will have to choose the type of photogrammetry that will match your expectations. But 3D scanning with a smartphone could be useful for your project, give it a try. Visual SFM is a 3D reconstruction tool, using structure from motion (SFM). It is an easy photogrammetry software to use, you will just have to add your images, match them and make the automatic reconstruction. It is a quite simple software tool with an automatic process. Colmap is Structure-from-Motion (SfM) and Multi-View Stereo (MVS) pipeline. You can use it with its graphical user interface, or with its command line interface. You can choose what is more convenient for you. You will access all the basic tools needed to create a 3D model using photographs. 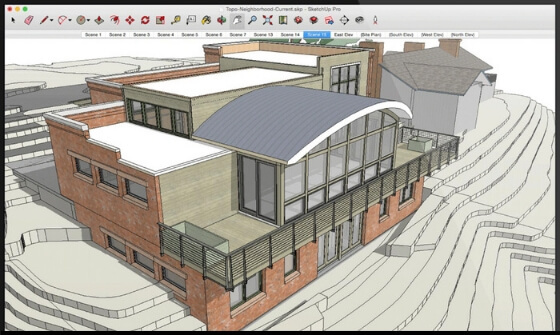 Context Capture (previously Acute 3D) is developed by Acute3D, a Bentley Systems company. The goal of this software is to create a finished 3D model with photographs, without any human intervention. This process is easier than 3D scanning and more precise than 3D modeling, you don’t need to be an expert to recreate a perfect 3D digital image. Moreover, this program includes the ContextCapture Editor, which enables users to edit meshes, generate cross-sections, extract ground and break-lines. You can get a Context Capture 3D demo right here, if you are not familiar with this software. Reality Capture is a pure photogrammetry software, it doesn’t include any laser scan feature. This complete solution is easy to use thanks to its great and friendly user interface and is offering everything you need photogrammetry. This program has a great quality and speed, and is able to calculate meshes and textures, and allows working with a lot of different file formats. It will allow you to work on geo-referencing but not only! Indeed, it is also possible to work on small sized objects while using this complete software. This software allows to reconstruct a 3D digital representation with images. Everything is automatic, you don’t have to interfere in the process thanks to its efficient reconstruction technology. As we saw in our previous part, this software has a basic and free version. But depending on your needs and on your project, you will have the choice between different versions of 3DF Zephyr: Lite, Pro, and Aerial. These advanced versions are allowing you to go further and get laser scanned objects for example, or to work more precisely with aerial photographs. Autodesk ReCap (previously Autodesk ReMake) is a reality capture software developed by Autodesk, allowing to create really accurate 3D models using reality captures. You can access advanced photogrammetry possibilities such as aerial photogrammetry, you can measure and edit point cloud data. With Autodesk ReCap you can also access a wide range of tools and, for instance, clean the unwanted objects to work more specifically on a precise object! Inpho is a photogrammetry software really dedicated to a geospatial use. It will transform your aerial images into precise points cloud and surface models. It is a professional software, perfect if you have a geo-referencing or a geo-modeling project, using aerial photography. This software is really complete and offers a wide range of modules. If you choose to use Inpho, you will certainly find the tools that you need. iWitnessPRO is a professional photogrammetry software, developed to be as accurate as possible. This software supports both close-range photogrammetry and aerial photogrammetry. You can choose the right process, according to the geometry of your object. This program is easy to use, supports GCPs (Ground Control Points) and allows to generate orthoimages and digital surface models (DSMs). Pix4Dmapper is a software dedicated to drone-based mapping. It is a professional software turning your images into really precise georeferenced 2D maps and 3D models thanks to an advanced digital reconstruction technology. It is quite an useful tool if you need to visualize your project. Indeed, you can render your project and work on textures. It is a good software for aerial images but also for close-range images. Photomodeler Pro 5 is not a stand-alone solution, it is a plugin available with the 3D modeling software Rhino. If you are using this advanced 3D software, this plugin could be the perfect solution as you could access all your tools with only one program. Thanks to Photomodeler Pro 5, you will be able to create realistic and accurate models from pictures. We hope that you found the perfect photogrammetry software thanks to our selection. Are you already using photogrammetry software? Share your experience with us in the comments! 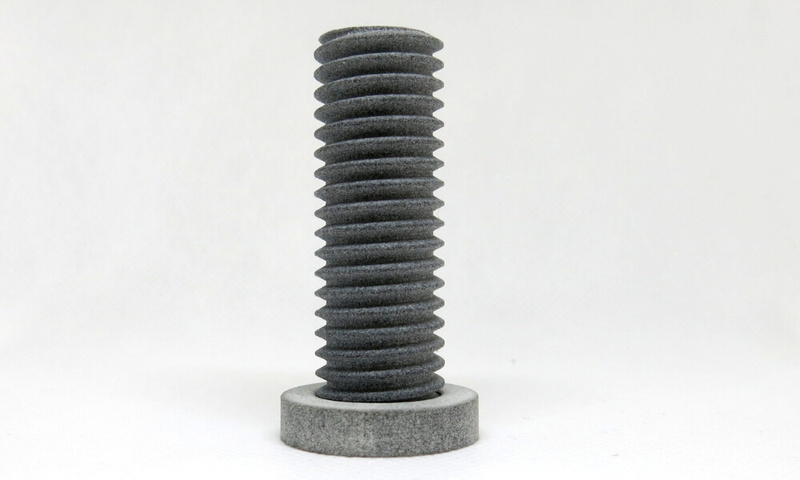 Keep in mind that once your 3D design is ready, in the proper file format for 3D printers, you can upload your 3D file on our online 3D printing service and get your 3D printed object. If you want more information about all the software that could be linked to 3D software, 3D printing or 3D printers, don’t hesitate to subscribe to our weekly newsletter!